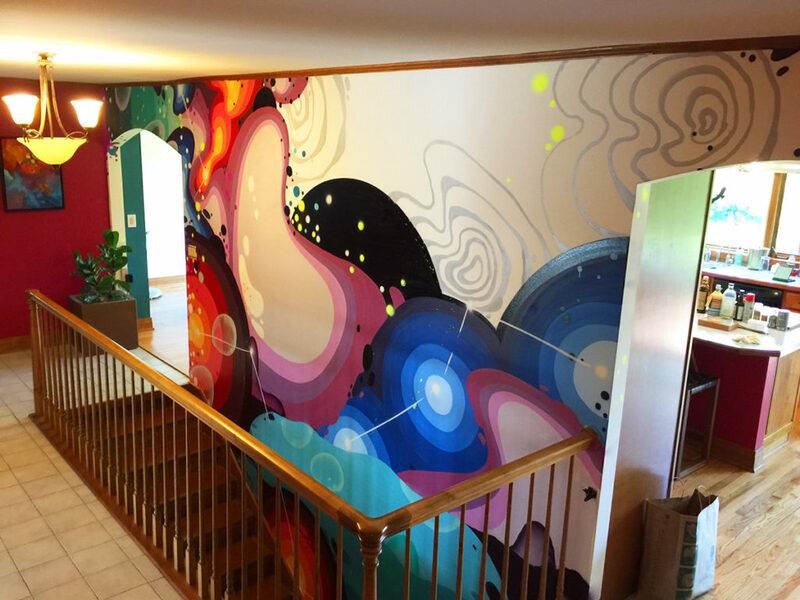 We are often approached by home owners to create custom graffiti artwork installations in their home. We have also worked with many interior designers in the past to add some exciting and unique aesthetics in residential buildings. 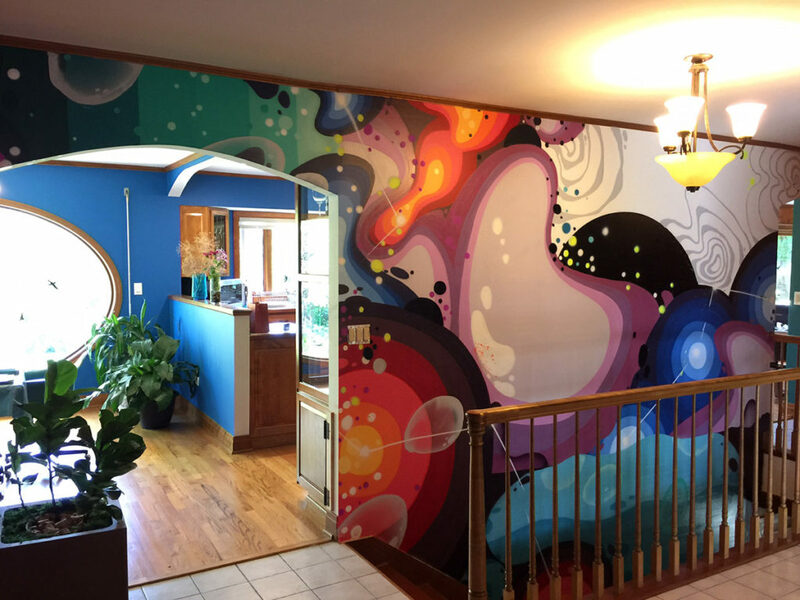 A very eclectic homeowner in Naperville, IL reached out and who gave us the creative freedom to design a graffiti wall going down their living area staircase. Working with our Chicago based graffiti artist, we created a concept based on some references. The client was also into biology so we went with the organic and abstract approach. It was a bit of a challenge working across the stairs with a ladder but in the end the client was very happy with the results.